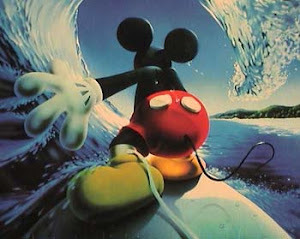 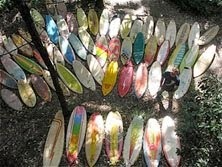 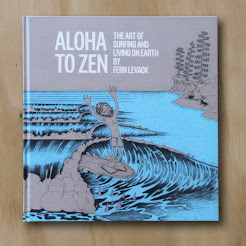 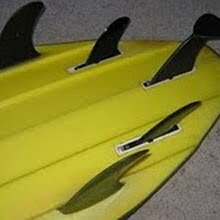 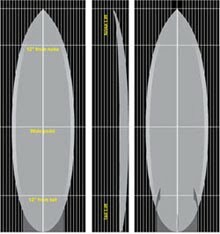 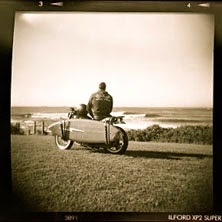 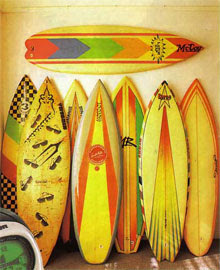 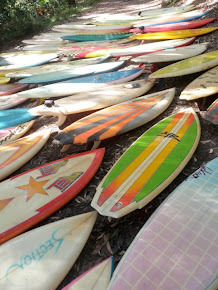 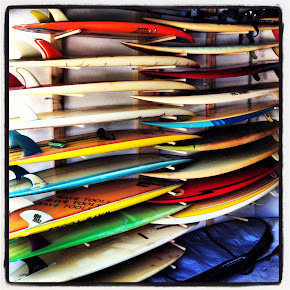 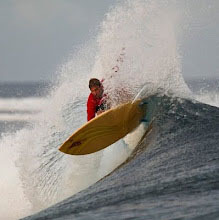 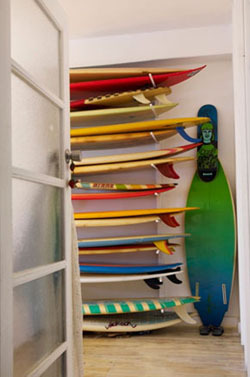 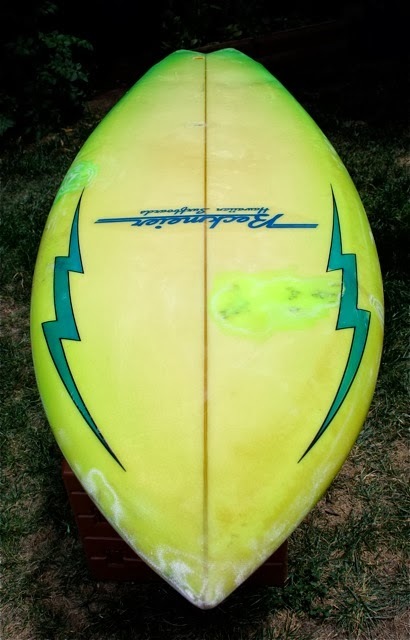 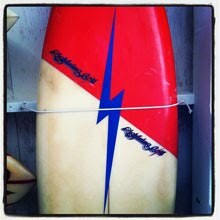 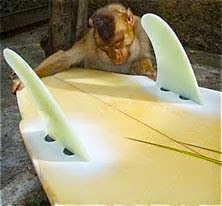 I love twin fins, I love channel bottoms, I love Lightning Bolts, I love vintage Hawaiian surfboards. 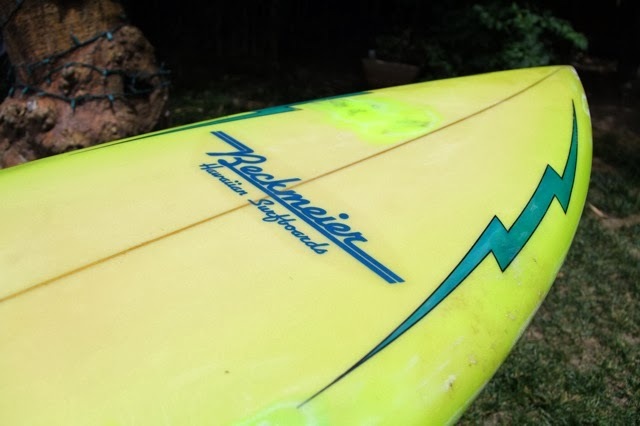 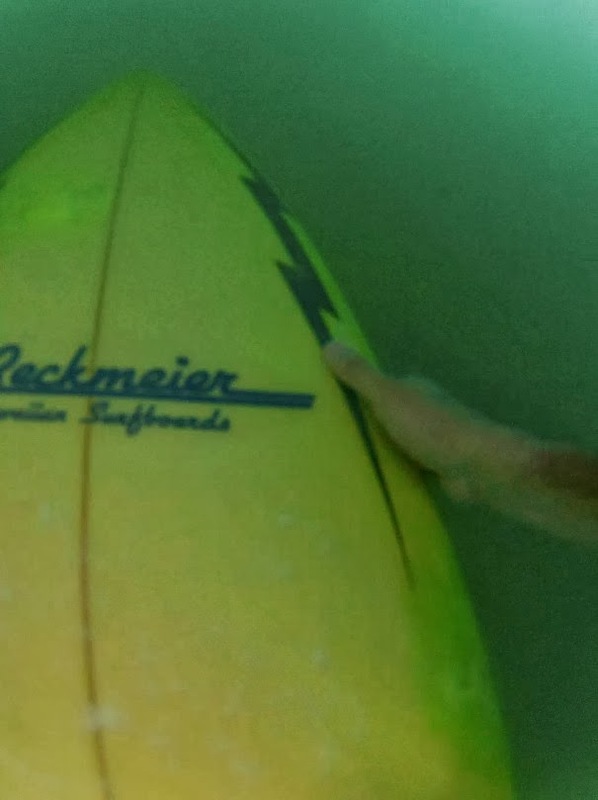 So I was pretty phyched to get my Maui made late 70's Beckmeier Bolt in the water. 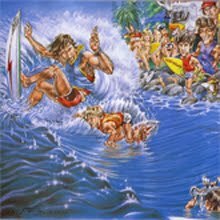 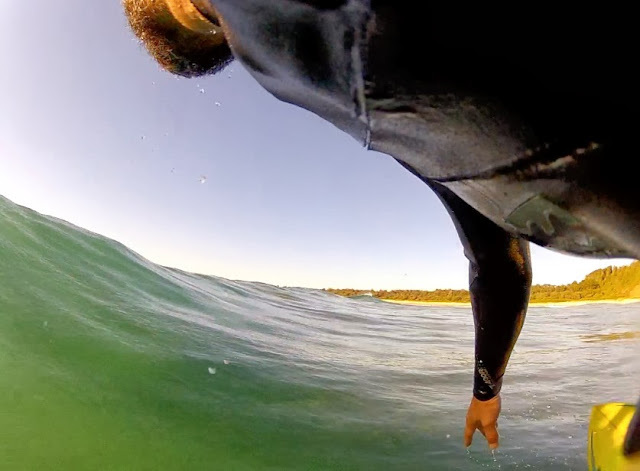 The first opportunity to get him wet came down the coast at this well know hollow beach break. 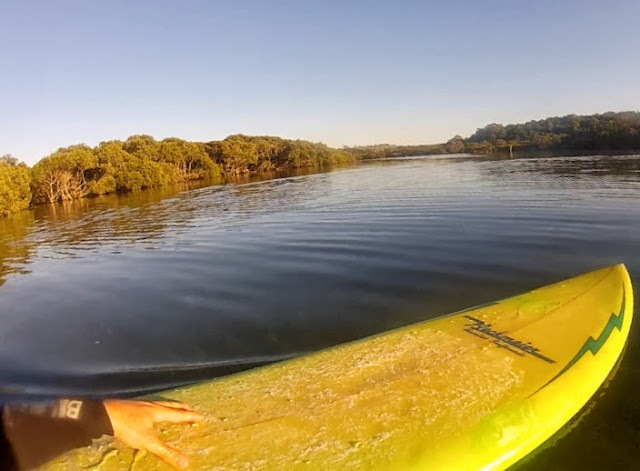 I always enjoy the adventure of surfing this spot that requires a paddle across this peaceful lagoon. 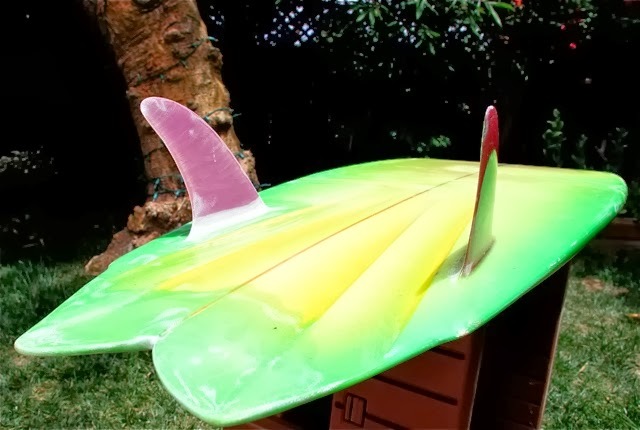 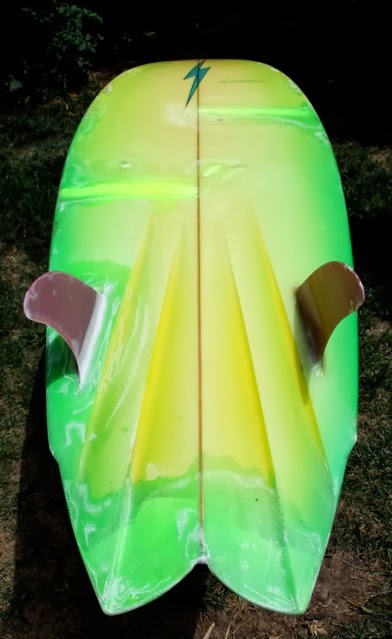 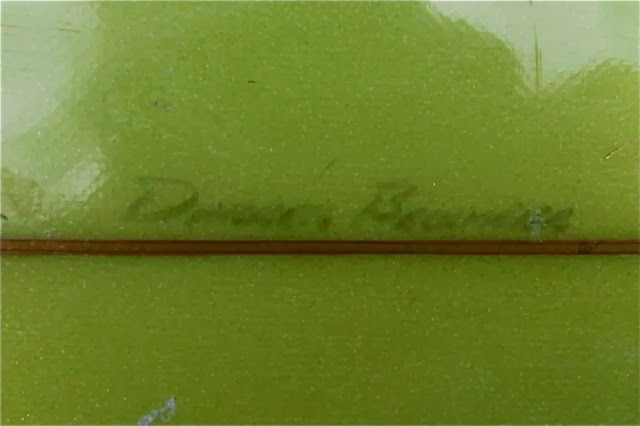 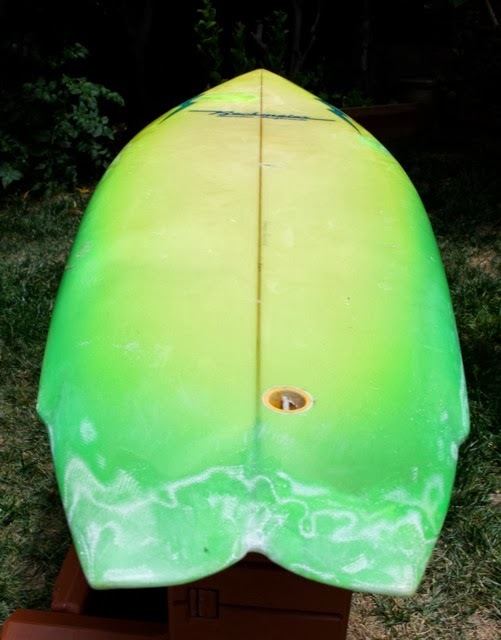 The most remarkable feature of this board is the thinness through the tail that allows great penetration and hold in powerful little waves while retaining the speed and looseness of of the swallow tail twin fin. It was equipped with a camera and a spring loaded arm with a sensor on it designed to measure the make up of the Martian soil. 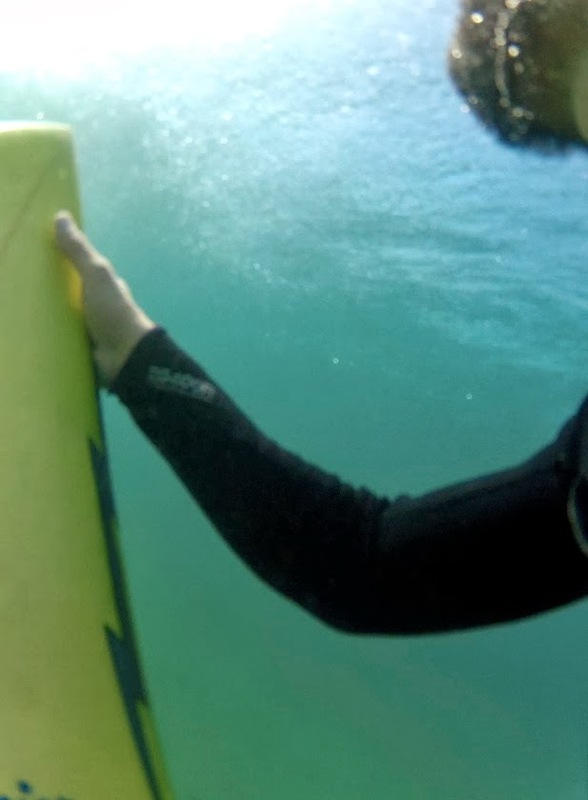 The module landed, the plastic lens cap popped off in readiness to take photos and the spring loaded arm went down and sent back, through millions of miles through space, the exact make up and chemical composition of the plastic lens cap. 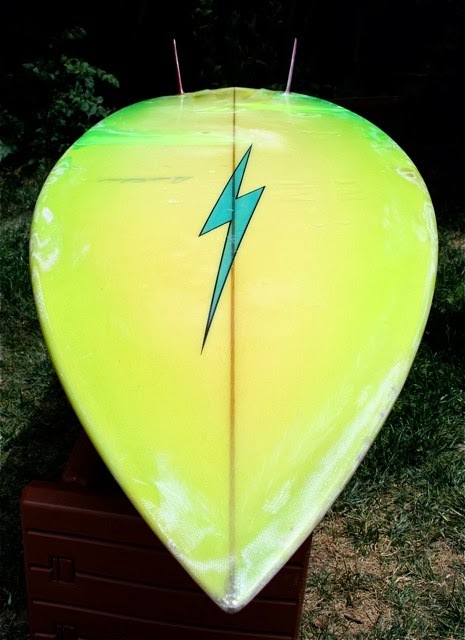 The next run the green Bolt got was on a camping trip up the north coast with Gavin, another passionate vintange surfboard collector. 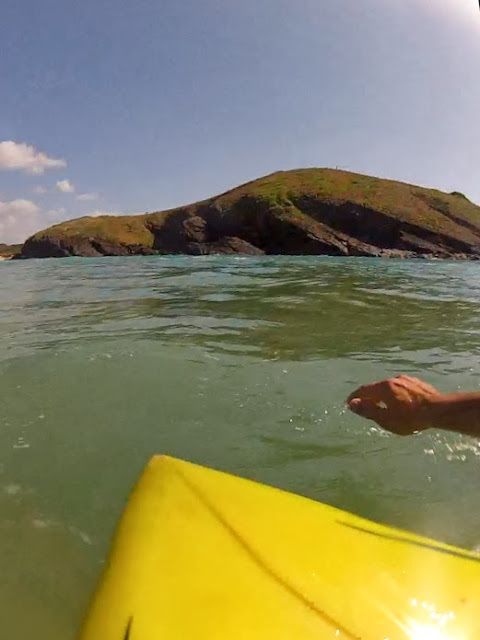 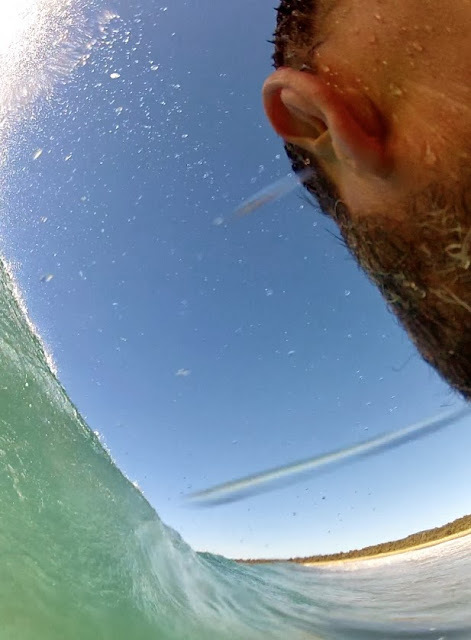 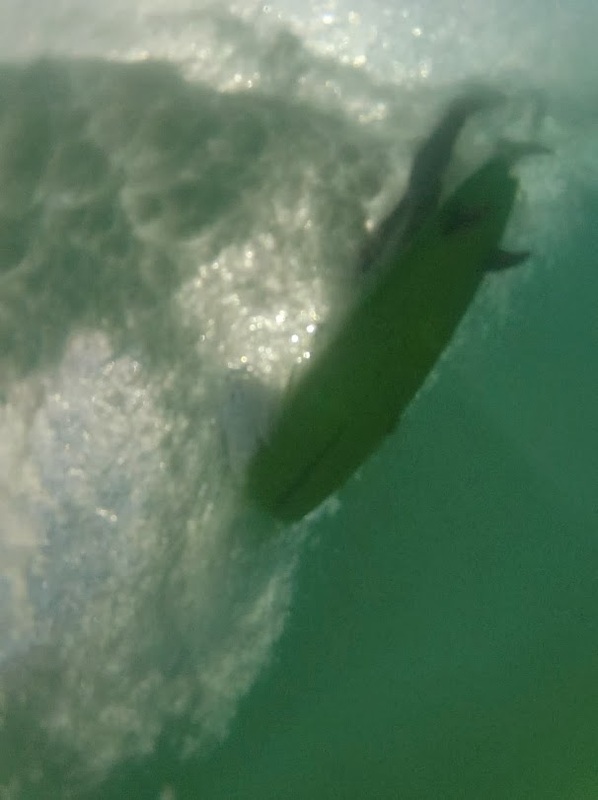 The fish eye lens some times works to completely flatten out a swell. 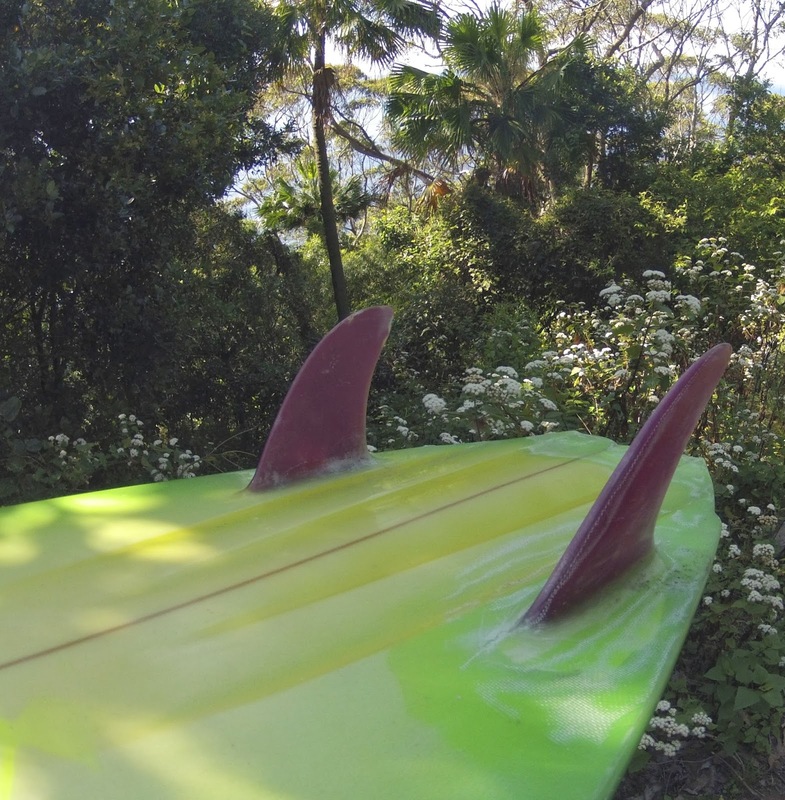 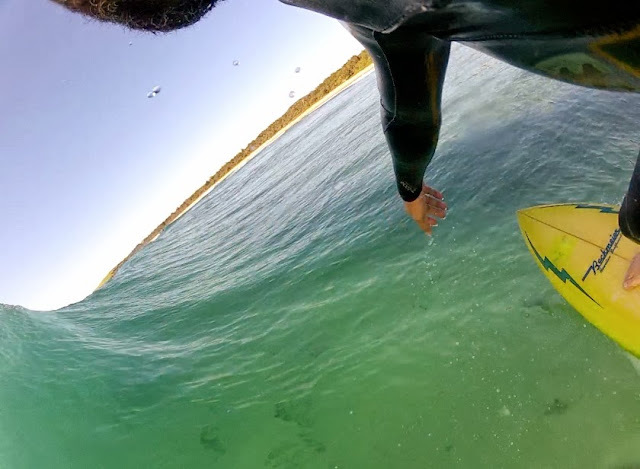 You still need a steamer in the water south of Sydney, but you don't have to go too far north to score a surf in boardies.